"This CD is the ultimate, go on, pour yourself another glass of wine and enjoy." 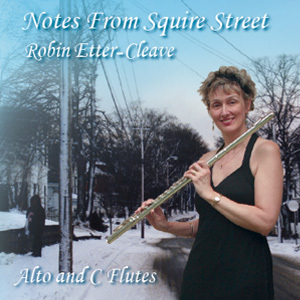 "Beautiful, mellow, soothing music, by one of the best flute players I have had the good fortune to hear." Notes From Squire Street may be ordered by hitting the “BUY NOW” button (this is with PayPal), OR if you are living in Australia, you can send me an email – please put “Notes From Squire Street” in the subject line. I will provide you with my bank account details and you can then deposit your payment directly into my bank account. The price for each CD is $20.00 AUD. Postage and handling fee to anywhere is FREE! !.